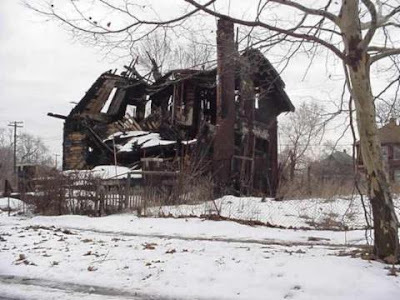 READ ABOUT DETROIT AND SOLUTIONS TO ITS PROBLEMS. CLICK HERE. First 4 tries from the 1-yard line at Iowa: zero yards. Next 4 tries from the 1-yard line at Illinois: zero yards... and then Illinois scores going 99 yards. 14-point swing. Just one question: who is the genius [perhaps yclept otherwise by others] calling the plays for Michigan? They go into a formation that hasn't worked all year and, guess what, you do what you did and you get what you got. Oh, and you get another loss. The choice that turned the game... and the season... around... the wrong way. Anyone in this planet could only dream of owning any one of these cars. 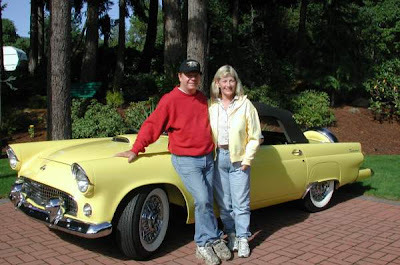 Please let me introduce two people that restored every one of these cars and still retain ownership to every one, Ted and Sharon (Sunflower) Forbes. 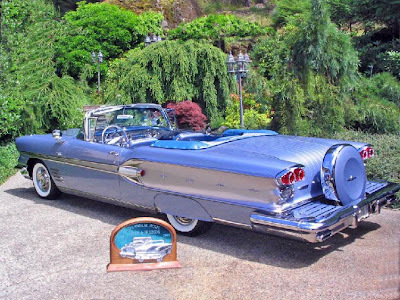 This collection is without a doubt the absolute finest collection of fifties cars in the World. 1956 Ford Skyliner (Glasstop) We restored this car in 1988 from an original car that came from the Indian reservation here on Vancouver Island. It is full power with all options. 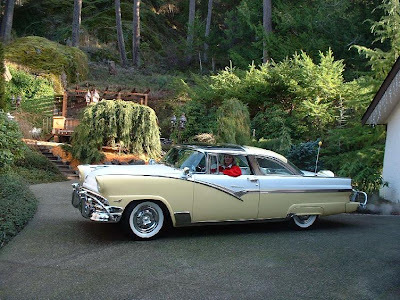 1956 Meteor Crown Victoria We restored this car in 1990 and drove it to Ocean Shores Washington for its first drive. It is full power with all accessories except "air". 1956 Meteor Convertible Meteors used some Mercury colors in 1956. This 56 Meteor is painted Grove Green and Saffron Yellow with a black lightning bolt and the production numbers are only 479. It is full power with all accessories except "air". 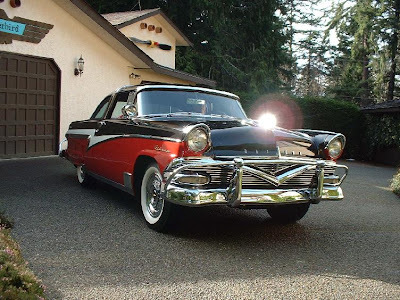 She has taken us to Rockin Red Deer in Alberta, Hot August Nights in Reno and many other trips. Because of the color, we call her "Juicy Fruit" and many people have seen this car. 1956 Mercury M-100 Pickup We have driven this truck all over the place from California to Manitoba to Sturgis many times since we bought it in 1978. About 12 years ago I put an Aspen suspension, 302 and AOD in the truck to make it drive better. It has never missed a beat. The next time I rebuild the truck I have a 5 L. for it. 55 Merc Sun Valley. I bought this car from an old ladies estate sale in 1983. It was rust free but pretty banged up with only 26000 miles on it. I added all the options and accessories and restored only as needed keeping the car as original as possible. 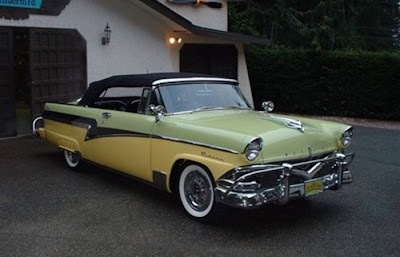 56 Mercury Montclair Convertible. This car is one of our favorites. 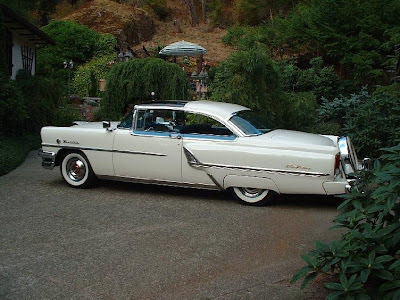 I found what was left of it in the Spokane area and restored and drove it to Hot August Nights in Reno in 1996. It is London Grey and Persimmon with full power and all accessories. 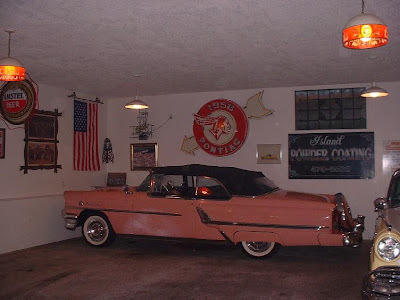 1955 Mercury Convertible I tow barred this car from Southern California in 1989 behind my little Ford short box 302. The 55 was so ugly, not once did anyone give me the "thumbs up". 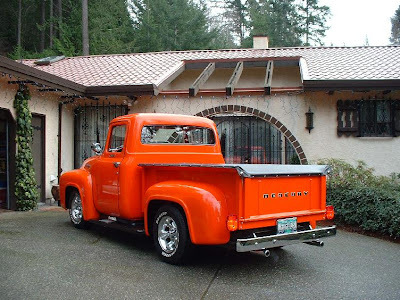 It is now restored Canadian colors, Sunset Coral with matching Tapestry weave interior and Metric speedo, full power and accessory steering wheel. 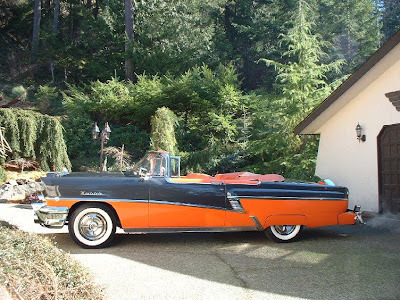 It has only 530 miles on it because we mostly drive the 56 Mercury convertible. 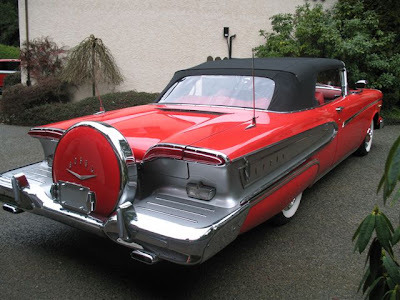 1958 Pontiac Parisienne Convertible. I built this car out of a super basket case. I welded 6 months on this car alone. It is a 348 tri-power, bucket seats and with practically every factory and dealer option available in 1958. We drove this car to Hot August Nights in 2004. 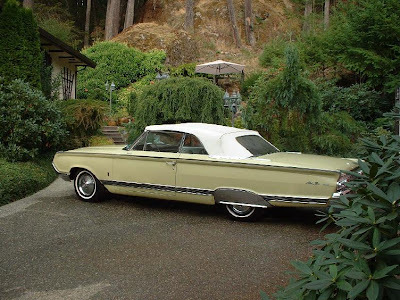 The 64 Park Lane convertible is a good old 78,000 mile car, with all good parts to restore it. 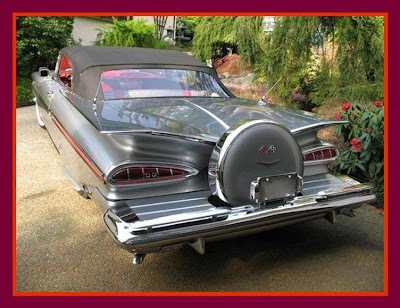 It is a full power, bucket seat car with super marauder engine and rare 15" wheels. I have cast iron headers and tri-power for it. 1958 Mercury Convertible I looked for one of these cars for about 10 years and finally got this one from John Fowlie in Calif. We restored it with a 430, full power with memory seat and everything and it is big. I was able to find a lot of NOS parts for this car probably because not many of these cars are being restored. Mostly 57's. 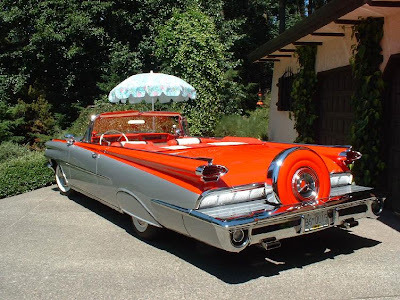 When I found the 59 Impala it was a rust bucket folded up on a 8 ft pallet. The car had no interior or power train. 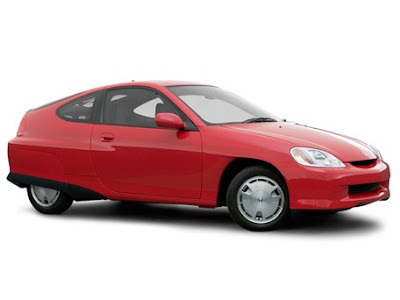 It was originally a black Canadian built car. I have installed a 1995 LT-1 fuel injected engine with 700R4 trans but when finished this car will look like it was built this way from the factory(I hope). 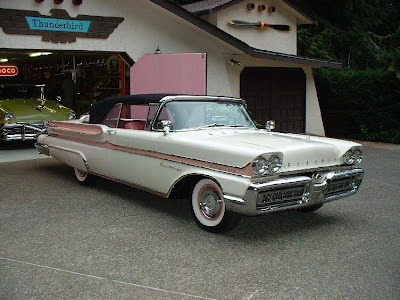 It is going to be the usual cruiser with fender skirts, full continental kit, spotlights and so on. It is presently 70% finished but will probably be finished for next spring. 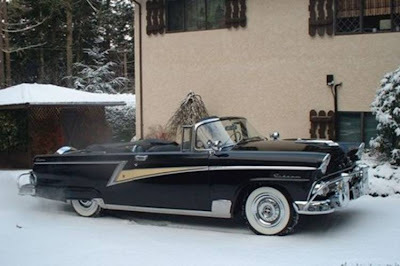 This 1959 Edsel Convertible is the latest addition to the Mountaintop Collection. Of course it goes without saying, this machine has full power options and has been meticulously restored under the skilled hands of Ted Forbes. Another beautiful contribution to an already stunning collection. Congrats Guys! I suppose in 50 years someone will get excited about restoring these government-favored vehicles... I just can't imagine who. Reports to be released Friday on the government Web site Recovery.gov are expected to show that the $150 billion in grants and loans made so far under the economic stimulus package have created or saved about 650,000 jobs, White House officials said Friday morning. The real question is "How many jobs were lost or will be lost due to the policies of and legislation to be passed by the Obama administration." The chart below reflects the jobs saved. Oh, really? Better get ready for those unemployment numbers to stay high while Obama spends trillions on building big government. The media have touting the reported 3.5% in Gross Domestic Product for the last quarter. Hey, the economy is booming! Not really. When you examine the growth, you will see that more than half was related to a pull-ahead program "Cash for Clunkers." The 4th quarter will see that paid back. 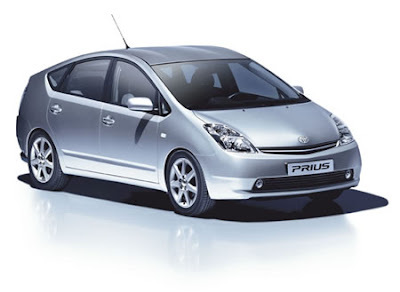 There has been some replacement of product inventories by manufacturers. What is absent is consumer spending outside of the "clunkers" blip... and that is likely to remain absent for some time as employment, housing, and personal investments remain severely depressed. It good to be optimistic to the extent that it is realistic. Right now it is hardly realistic. Looking around, the equities markets are highly optimistic given the economic realities. That should flash "proceed with caution" to anyone with spare cash burning a hole in his pocket. In the Detroit area, General Motors has shown some signs of life, but once again closer examination shows that they are moving the metal with high incentives... and many of their sales are for leftovers from 2009 that carry a lower price tag than their new models. 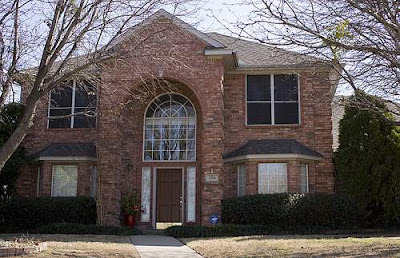 This is still a bargain-hunter market and is likely to remain that way for some time. The Obama administration is hoping to spend enough future taxes now to stimulate a real recovery, but they may only be succeeding is devaluing the dollar and driving a "bomb shelter" mentality in businesses that see only more tax burdens and downtrodden taxpayers. We've gotten the change, but not what 52% of Americans hoped for... you know, that overwhelming majority behind this nonsense. I copied the data into Notebook and then imported it into Excel as tab-delimited data. Then I was able to play with the rankings a bit. You may want to avoid some areas. By the way, Kwame Kilpatrick, felon and Detroit's Mayor for eight years, can't afford to pay restitution for the millions of dollars he cost the city. He barely has enough to afford housing in Texas. Careful Dallas. Kwame could help make you safer. This is soooooo obvious that I'm absolutely certain that others have come to the same conclusion. In fact, I'll link to one of those below. The United Auto Workers have gotten 17.5% of GM's new stock. The United Auto Workers have gotten 55% of Chrysler's new stock. Chrysler and GM have gotten labor contract concessions from the UAW. Okay, where is the FTC or the Justice Department on this one? If you control the market on labor and give special discounts to two companies in which you have ownership, but refuse to give the same discounts to another company that must use your labor, how is that exempt from anti-trust laws? Could it be that a certain Federal government administration is buddy-buddy with the UAW, so the UAW can get away with anything? Remember, GM and Chrysler got rid of their debt and the UAW got partial ownership... all a gift from taxpayers. Ford took on the load itself and now is about to get screwed for doing the right thing. Could it be that legal Justice has nothing to do with ethical Justice? I wonder what our new Justice thinks about this? Oh, she will undoubtedly say that unions are exempt under the Sherman Act and the National Labor Relations Act... but should they be? Especially in light of the fact that it can be argued they are intrinsic to the ownership structure of two large corporations and the UAW is, in fact, as much a corporation... a corporation controlling other corporations... as it is a negotiating entity for workers. The protection under the Supreme Court ruling in Hunt v. Crumboch [325 US 821 (1945)] should not protect the union in this instance. Yes we can't! This has got to change. Soooooooo obvious that only the FTC and Justice Departments can't see it. Part of the freedom of being a "senior" is being either totally self-centered or choosing to use one's time in a variety of ways that help others... family, friends, or strangers. Today, I chose the last choice and am spending the day with 40 other seniors who will be working together for the next two month to help other seniors. That's part of "community." It seems that there is a lot of the attitude that "I've paid my taxes and the government can handle the helping out for me." Maybe that's why we've got what we've got. There has been growing concern about the U.S. deficits and our government's ability to fund all of the mandates and edicts and policies of the Obama administration. Of great concern is the devaluation of the U.S. currency and the potential rejection of that currency as the de facto world reserve currency. China, our biggest creditor, has been not so quietly declaring that it might not be so wise to put so much faith in the U.S. currency. When your banker is telling you that your credit is failing, you need to get your spending under control... not increase your spending. Recently in Detroit, thousands of people were gathered downtown to try to take advantage of the Homelessness Prevention and Rapid Re-Housing program [I can't pronounce the acronym]. One woman was excited about getting some money. She was asked where the money was coming from and responded that it was from Obama. Then she was asked where Obama got the money to give to her and she responded, "Obama's stash." Granted, that was a Detroit resident with the IQ of a groundhog, but there was some truth to her reasoning. The Federal government, under the direction of President Obama, is creating one "stash" after another out of thin air. This magic has baffled many as to how it works, but this blog's investigation has revealed that not only will these programs not cause budget problems, but that they are backed by the full faith of the Obama government. This is an example of Obama's "stash." Despite the fact that they were 13 point underdogs, the Detroit Lions did not lose today in their "Bye" game. While the Obama administration takes the highly public lead on the U.S. Energy Shortage Creation Policy [E-SCrP], it has been taking a somewhat lower profile on the U.S. Food Shortage Creation Policy [F-SCrP]. Both are related to misguided, so-called environmental crises [never let a good crisis go to waste]. Just as the Obamaites are using thriving polar bear populations to prove how endangered the polar bears are, so too are the Obamaites saying that localized loss of a 3-inch minnow-like fish will endanger the whole Pacific Ocean food chain and so water has to be shut off to agriculture in California. September 22, 2009 - WASHINGTON, D.C - Today, U.S. Sen. Jim DeMint (R-South Carolina), chairman of the Senate Steering Committee, proposed an amendment to the FY2010 Interior Appropriations Act restricting funds for one year from being used to cut off water to California’s Central Valley. Environmentalists have used the Endangered Species Act (ESA) to stem the flow of water to the region's farming community, which produces 13% of the U.S. food supply and over half of the nation’s fruit and vegetables in order to protect a 3-inch fish called the Delta Smelt. How many times will the Democratic Party cry wolf before nobody actually listens? Meanwhile, to offset this stupidity, the same Obama administration is giving away $50,000 per home to provide solar power electricity? Did I say offset? I meant enhance. By the way, it is NOT the Obama administration that is providing that money. Have you checked your checking account lately? During this past week, I have been reloading my laptop with software and, in the process, venturing off into the world of open sourced programs. It's been quite enlightening. Years ago, I became a Microsoft Office aficionado and gained a reputation for being able to work magic with that suite. Although I plan to continue to use Office 2007, I decided to try some alternatives to the old Microsoft and Adobe/Macromedia standbys. It's not that the products are bad in any way. On the contrary, I have been quite pleased with them. But there are more than two horses to ride out there. I downloaded OpenOffice.org and then replaced it with a slightly different version called Go-OO. All of the documentation is online which is a little inconvenient, but not critically inconvenient. My first impression was that the suite was "okay" but there were some things that just didn't seem to work the way they should ... the way I was used to with the Microsoft suite. For example, I love "toolbars" and load them on my program views. There just didn't seem to be what I wanted at first, but gradually I learned the OpenOffice approach and discovered that virtually all of the features I was looking for were there... they just worked a little differently, but not so much different that with a little patience I couldn't figure it out. I think the difference is that Microsoft has done a really good job of making features easy to use, while OpenOffice has decided to keep things completely customizable and maybe even more feature-rich in some areas. I'm still sorting through that. There are tutorials, but I hate tutorials. Typical man, my wife would say. Gimp was a really pleasant surprise. A very powerful graphic manipulating software that seems really intuitive... maybe more so than Photoshop or Fireworks. Kind of load and shoot. I'm sure there are thousands of programs available, but I've been quite pleased with the two described above. For someone buying a basic computer loaded with some "crippled" software like "Works" and "Paint", these are really great alternatives to spending many hundreds of dollars. I plan to look at some alternatives to Dreamweaver. Using open source software is not something new. My preferred browser is Firefox which seems to come out very frequently with new features and updates. For example I love the Adblock Plus and CoolPreviews add-ons. Now for those of you who say they are too old to learn all of this... even though you have the time and a computer... I'd have to ask, "When did the learn circuit in your brains get switched to off?" Many of you have seen the long-standing blurb in the right column titled Democratic Party Suicide. It is a laundry list of why the Cap and Trade [aka Cap and Tax / Cap and Scam] will achieve nothing except creating a significant cost to our economy and burden those least able to afford it. Forbes Magazine November 2, 2009 issue ran and editorial piece by Peter Huber of the Manhattan Institute titled The Carbon Con Game. 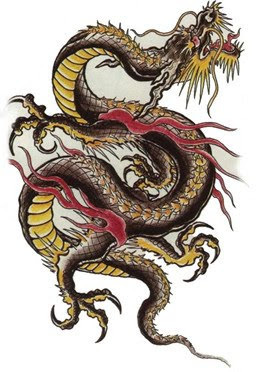 Since nobody can track how many twigs, cowpats and rice husks a billion peasants burn--or alternatively, leave to fungi to convert into methane, a powerful greenhouse gas--China's carbon accountants can make its renewable numbers come out anywhere they like. The global climate, however, doesn't care a fig about hyphenated emissions, whether per capita, per dollar or per unit of sly political prevarication. It really doesn't matter whether China's accountants fudge the numbers or not. It's just an exercise in futility. It's also an exercise in wealth transfer... to China... as if the U.S. hasn't done more than enough of that already. China says because it's poor and we're rich, we must slash our emissions--absolute emissions, not the per-GDP kind--by 25% to 40% in the next decade, and also pay China and other developing countries in both cash and technology transfers to help them curb theirs. Translation: "You're responsible for our sorry past." Yesterday was the first day in October that would be considered normal... mid-60s high and mid-40s low temperatures. Partly sunny, slight breeze, dry... perfect. So, rather than spend the day with my warm, cozy laptop computer, I hit the links for 18 holes of satisfying golf and a leisurely lunch with my foursome. Upon returning home, I still had no desire to stay indoors, so I decided to take on one of those jobs that come up occasionally around the house: trimming a large tree. Actually we have several large trees that are beginning to encroach on the house and a couple of weeks ago I took on a small, flowering crabapple. This time the target was a fairly good sized Linden that seemed to be spreading up, sideways, and even downward toward the driveway. It had overtaken the last 15 feet of the driveway so much so that parking was problematic. 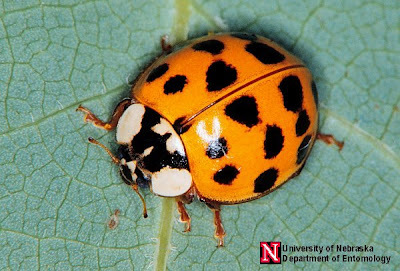 Plus it was a magnet for bees, spiders and those Asian beetles that love to nip at your skin this time of the year. Taking on the task of pruning 6-inch diameter branches without climbing the tree meant having more than a manual pruning saw. Yet, the cost of a professional, gas-powered saw was prohibitive. Fortunately, the local Home Depot carries just the tool... and electric-powered pruning saw that extends to 9 feet. It is made by Homelite and had good reviews, so the $100 seemed reasonable. As an aside, the box itself claims the saw has a "15 ft. Reach." When you buy something like this and it is in a box, you don't really have a chance to examine it very well. So I asked the fellow who worked at Home Depot whether the "15-ft. reach" meant the saw extended to 15 feet or whether the 15 feet included a person 6-feet tall. He said the saw extended to 15 feet. He was wrong. I was tempted to return the saw to Home Depot, but decided that I could make do with a step ladder. So, four hours after starting, I had trimmed a large stack of limbs and small branches and stacked them neatly at the curb for pickup by the city. There are still some branches higher up that I'll need to reach with a longer ladder. 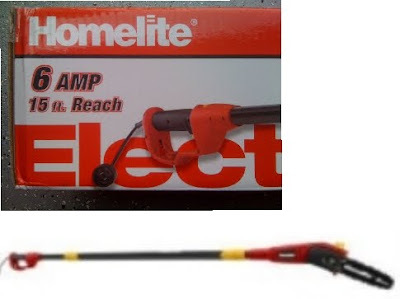 That "15-foot reach" the Homelite marketing people put on the box would have come in handy... if it had meant what it insinuated - an extension saw that was 15-feet long. I guess the Homelite lawyers agonized over this for 10 seconds and said, "sounds good to us." And, no, I'm not getting paid for this review... just in case the Obama watchdogs are watching. Oh, ignoring the fact that I felt "short-changed" on the length of the pole, that saw actually did very well in cutting through those limbs... better than I expected from a small electric chain saw. Hindsight is so 20-20. What could possibly go wrong with huge trade imbalances and loss of core manufacturing capability and jobs... as long as our government could get the money it wanted to spend on its social and economic experiments? Bill has been busy again. Although he doesn't write a blog or post to any that I know of [I have offered him to be a guest writer], he sends me emails about his hot buttons along with plenty of links... and not from obscure sources. 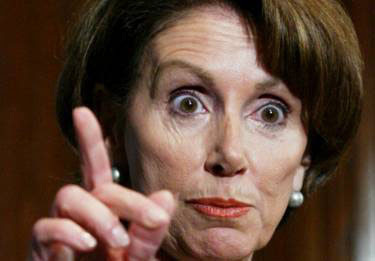 Bill said Nancy Pelosi is up to her armpits in the muck of mixing a VAT for the U.S. Nancy said that she had only one point to make... this of course means that income taxes will not be raised for lower income citizens to cover all of the spending... a promise is a promise. 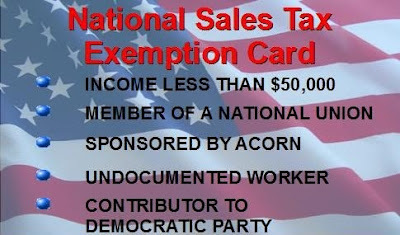 Our Democratic Party leaders never promised that a sales tax would not be implemented. The numbers Bill had heard ranged from 5% to 17% and all the way through the supply change or just at the retail level. So, the wheels are turning, but the train hasn't started moving... yet. *Includes a timeline of remarks. You have to wonder what is going on in the minds of the Democratic Party "leaders" at this point. They want to crush the economy with their "crisis" programs and then are planning the most regressive kind of tax possible... a tax on everything at the same rate regardless of income. Well, there might be a "workaround." It's an interesting conundrum: should the Fed try to slow an economy that is dead in the water or try to prevent inflation caused by policies of the Obama administration? Apparently, there is no alternative such as "let the markets work." U.S. trade and tax policies encourage the gutting of U.S. manufacturing and the rise of U.S. unemployment creating a greater "dependency class"
So, I guess it's time to raise interest rates. Soon to come... big increases in taxes. Most of the public not associated with the automotive industry think of how the companies' health care plans have taken away their employees' health care insurance concerns for life. But things have changed in the last decade... especially for retired salaried employees. When you turn 65 as a retired salaried employee, you go into the "public" system like everyone else... welcome to the world of Medicare and the maze of supplemental insurance. Last year, a group of these retirees decided to try to set up a process to help the transition from "I don't have to think about it" to "What the hell do I do now?" The result was a website... focused on Ford Motor Company retirees, but available to all who are interested... that pulls together the questions most of us have with a lot of the answers we need. This group is gearing up for the 2010 Medicare enrollment period which begins mid-November, so the site and support system are not fully engaged, but for those of you who might be in the boat of trying to figure out the Medicare system or what choices you have, you might take a look here. While there is an email system for answering personal communications, it is designed primarily for answering questions specific to Ford Motor Company retirees. The website, however, is a good resource for everyone. Click image below. Expect that the information will be updated often over the next few weeks. 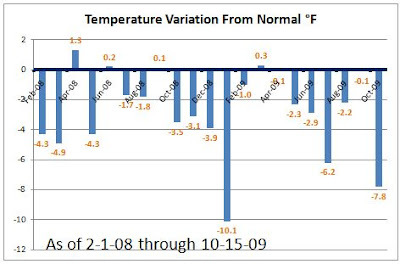 It shows the temperature variance from normal, by month, since 2/1/08 in a suburban Detroit area. For 2009 YTD, we have averaged about 3.0°F below normal. 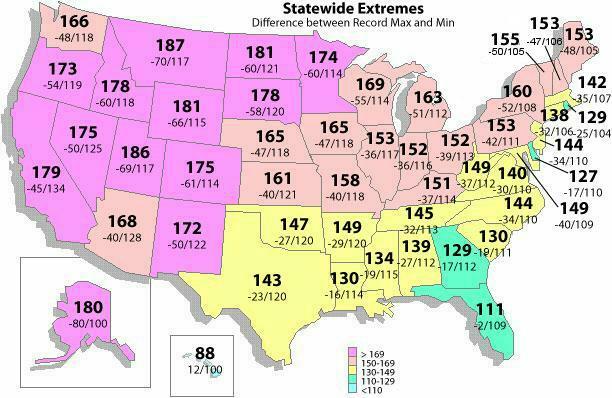 To give you a reference, Detroit's average annual temperature is 48.6°F while Minneapolis' is 44.9°. That's a 3.7° difference. According to the thermometer, Detroit is now just a bit south of Minneapolis. A slightly different perspective is that Cincinnati's average annual temperature is 51.7°F or 3.1°higher than Detroit's. Looking at it from an agricultural perspective, that difference in climate means a shortened growing season and a more limited variety of crops. 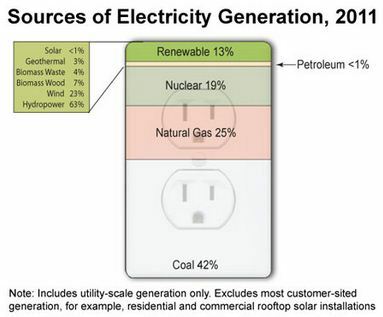 It also means a significant increase in fossil fuels used for heating. But it may extend the skiing season. FYI, the normal low around here is about 8-10° higher than forecasted lows for the next several days, so that 7.8° below-normal number for October will, at a minimum [no pun], stay near that level for a few more days. 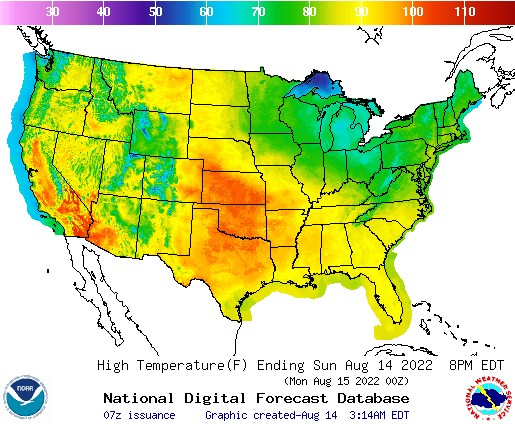 It will take a very warm second half of the month to get anywhere near normal. With all of the unemployment in the Detroit area, we're needing a little warming here. There are many more cold weather related deaths than warm weather related deaths and a lot of people are skimping on their heat to get by. Tell me again, why our government is so concerned about CO2... concerned enough to impose economic hardship on top of unemployment on top of a cooling climate? Sure, global warming is happening... somewhere... just not this planet and just not this decade. Could it be that politicians simply need a cause... any cause that can arouse the susceptible... to demonstrate their worth to the voters? If that involves some extreme hyperbole [that's not redundant in politics and you should read that last link], then bring it on! Use the SEARCH BLOG feature at the upper left. For example, try "Global Warming". You can also use the "LABELS" below or at the end of each post to find related posts. Unemployment Numbers Worse Than Who Expected? Climate Science - Dr. Roger Pielke, Sr. There is always an easy solution to every human problem—neat, plausible, and wrong. ... and one could add "not all human problems really are." It was beautiful and simple, as truly great swindles are. ... The Government is on course for an embarrassing showdown with the European Union, business groups and environmental charities after refusing to guarantee that billions of pounds of revenue it stands to earn from carbon-permit trading will be spent on combating climate change. SEARCH BLOG: FEDERAL RESERVE for full versions... or use the Blog Archive pulldown menu. 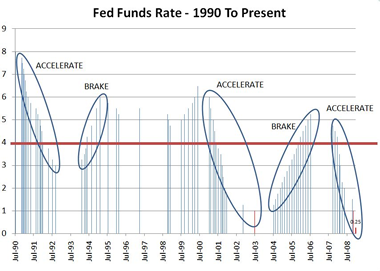 February 3, 2006 Go back to 1999-2000 and see what the Fed did. They are following the same pattern for 2005-06. If it ain't broke, the Fed will fix it... and good! August 29, 2006 The Federal Reserve always acts on old information... and is the only cause of U.S. recessions. December 5, 2006 Last spring I wrote about what I saw to be a sharp downturn in the economy in the "rustbelt" states, particularly Michigan. The Federal Reserve sees no need to cut interest rates in the light of adverse recent economic data, Ben Bernanke said on Wednesday. The Fed chairman said ”to date, the incoming data have supported the view that the current stance of policy is likely to foster sustainable economic growth and a gradual ebbing in core inflation”. July 21, 2007 My guess is that if there is an interest rate change, a cut is more likely than an increase. The key variables to be watching at this point are real estate prices and the inventory of unsold homes. August 11, 2007 I suspect that within 6 months the Federal Reserve will be forced to lower interest rates before housing becomes a black hole. September 11, 2007 It only means that the overall process has flaws guaranteeing it will be slow in responding to changes in the economy... and tend to over-react as a result. 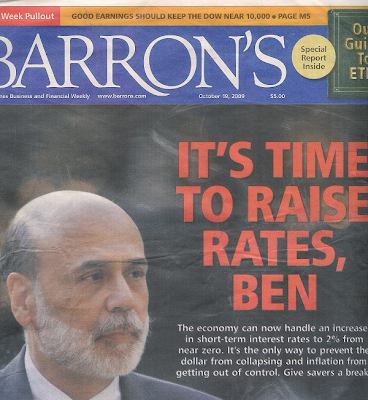 September 18, 2007 I think a 4% rate is really what is needed to turn the economy back on the right course. The rate may not get there, but more cuts will be needed with employment rates down and foreclosure rates up. October 25, 2007 How long will it be before I will be able to write: "The Federal Reserve lowered its lending rate to 4% in response to the collapse of the U.S. housing market and massive numbers of foreclosures that threaten the banking and mortgage sectors." "Should the elevated turbulence persist, it would increase the possibility of further tightening in financial conditions for households and businesses," he said. "Uncertainties about the economic outlook are unusually high right now," he said. "These uncertainties require flexible and pragmatic policymaking -- nimble is the adjective I used a few weeks ago." December 11, 2007 Somehow the Fed misses the obvious. 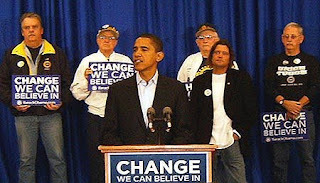 January 7, 2008 The real problem now is that consumers can't rescue the economy and manufacturing, which is already weakening, will continue to weaken. We've gutted the forces that could avoid a downturn. The question is not whether there will be a recession, but can it be dampened sufficiently so that it is very short. January 11, 2008 This is death by a thousand cuts. The high priestess of US monetarism - a revered figure at the Fed - says the central bank is itself the chief cause of the credit bubble, and now seems stunned as the consequences of its own actions engulf the financial system. "The new group at the Fed is not equal to the problem that faces it," she says, daring to utter a thought that fellow critics mostly utter sotto voce. What should the Federal Reserve do now? Step back... and don't be so anxious to raise rates at the first sign of economic improvement. Individuals and businesses need stability in their financial cost structures so that they can plan effectively and keep their ships afloat. Wildly fluctuating rates... regardless of what the absolute levels are... create problems. Either too much spending or too much fear. It's just not that difficult to comprehend. Why has it been so difficult for the Fed? Climate - Roger Pielke, Jr. Blame the people who voted for the person who nominate that person who will be confirmed by the people who were elected by the people who simply didn't understand what was meant by a "pig in the poke." Or, to put it another way, "... we have to pass the bill [confirm the nominee] so that you can find out what is in it [her mind]...."
Temperatures °F. Use your browser's zoom feature to increase image size. When will the economic turnaround occur? Until business perceives that the government is not going to continually change the rules of the game, there will be a reluctance to commit resources and hire people. And until that happens, the economy will languish. The government is trying to push the economy higher with mandates, taxes, and higher spending; but it needs the private sector to pull it higher with real demand. The Obama administration is open to the idea of taxing the wealthiest Americans to pay for healthcare reform, health secretary Kathleen Sebelius suggested yesterday as the House of Representatives prepares to incorporate such a plan in its draft healthcare bill. The science is settled, Gore told the lawmakers. Carbon-dioxide emissions — from cars, power plants, buildings and other sources — are heating the Earth's atmosphere. Gore said that if left unchecked, global warming could lead to a drastic change in the weather, sea levels and other aspects of the environment. And he pointed out that these conclusions are not his, but those of a vast majority of scientists who study the issue. Members of the committee, Democrats and Republicans alike, listened very carefully to Gore, as they seemed to take to heart his final message: that in a few years this whole debate will look very different. "This is not a partisan issue, this is a moral issue," Gore said. "And our children are going to be demanding this." From Watts Up With That? These failures of the projections (predictions) of the 2007 IPCC report, by themselves, should result in the rejection of the IPCC report as representing settled climate science. 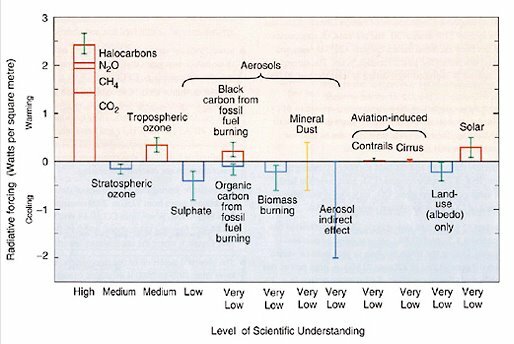 Climate Forcings - Consensus Without Knowledge? 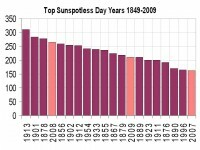 As of Sept. 15, the current solar minimum ranks third all-time in the amount of spotless days with 717 since 2004. There have been 206 spotless days in 2009, which is 14th all-time. But there are still more than 100 days left in the year, and Perry expects that number to climb. Perry, who studies sunspots and solar activity in his spare time, received an undergraduate degree in physics at Kansas State University and a Ph.D in physics and astronomy at The University of Kansas. He also has spent time as a meteorologist. 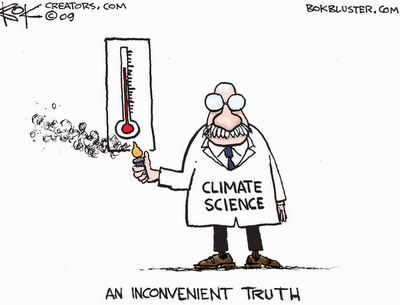 If there is a period of warmer than average/normal temperatures, that is evidence of man made global warming. If there is a period of cooler than average/normal temperatures, that is simply natural variability pausing global warming.